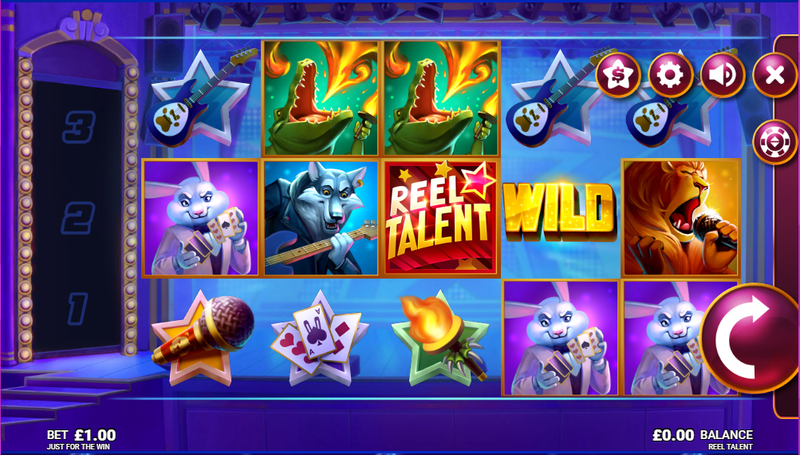 Here is an online slot game with a truly entertaining theme, as Reel Talent uses a sort of reality TV, game show talent contest for animals as it’s a focal point. Singing lions and wolves playing the guitars are just some of the action that is going on here across 5 reels and 20 pay lines. There is a showbiz feel and a soundtrack to match that, not to mention a few bonus features to enjoy, too. A game with real X-Factor. Check out more games at WizardSlots.com. The developer of Reel Talent was Microgaming and this is the company who you can tank for the ambitious and original theme. The theme adds a whole lot of fun and is carried off by typically strong graphics and professional animation from Microgaming. This is one of the best-known developers of slot games around and they have a great reputation thanks to a lengthy catalogue of popular titles. Other games in their catalogue include Jungle Jim and Jurassic World. Join us and experience online casino slot games from Wizard Slots. Reel Talent is one of the best slots you can play, and fitting of the theme at hand. Looking like it should have its own prime TV slot, the production value is of the highest quality which is a testament to the work that Microgaming have put into its development. Rather than aspiring pop stars and dodgy magicians, this ‘Jungle’s Got Talent’ style game has animals taking over the stage - and they are taking over the reels, too. A singing lion, a rocking wolf strumming a guitar and a bunny who knows his way around a card trick and a fire breathing crocodile are among the symbols here that you are trying to land. The lion singer is the most rewarding of that lot, hitting you with 15 times your stake should you land five of them on one pay line. More rewarding still is the Reel Talent logo, a wild symbol capable of earring you a hefty 50 times your stake. As the wild, this can also replace all symbols in order to create a winning combo. As for features, there is a symbol storage feature that is triggered during any win. These count as free wins and when 3 symbols are stored you will get yourself a Super Spin. Super Spins boost your chance of winning and help towards triggering a further bonus mode in the form of the Solo Performance Super Spin - a nice way of intertwining the talent show theme into the game’s features. These bonuses and free spins adds to the ways in which you can win here, but if you want to win this talent show, you’ll have to get the best out of the talented animals on display, too. Lion, crocodile, rabbit or wolf, they all stand a chance but who wins? You decide. Add to this a cleverly animated and good-looking 5 reels, plus an array of fun bonus features, and you have yourself yet another strong online slot from Microgaming. If you liked this, why not try Wild Weather for some reel spinning fun?